Results-Based Accountability™ is a disciplined way of thinking and acting to improve entrenched and complex social problems. Communities use it to improve the lives of children, youth, families, adults. RBA is also used by organizations to improve the effectiveness of their programs. Developed by Mark Friedman and described in his book Trying Hard is Not Good Enough, RBA is being used in all 50 United States and in more than a dozen countries around the world to create measurable change in people’s lives, communities and organizations. What’s different about Results-Based Accountability™? Community impact focuses on the conditions of well-being for children, families and communities that a group of leaders are working to improve. For example: “Residents with good jobs,” “Children ready for school,” or “A safe and clean neighborhood”. In RBA, these conditions of well-being are referred to as results or outcomes. It is critical to identify powerful measures to determine the progress a community is making towards achieving community well-being. For communities, the measurements are known as community indicators and are usually collected by public agencies. A community wanting to have residents with good jobs may look at “turning the curve” on the unemployment rate. Organizations and programs can only be held accountable for the customers they serve. RBA helps organizations identify the role they play in community-wide impact by identifying specific customers who benefit from the services the organization provides. The percentage of its trainees who obtain and keep a job. Check out a complete list of example performance measures here. Once you identify the most powerful measure(s) to improve, RBA provides a step-by-step process to get from ends to means. 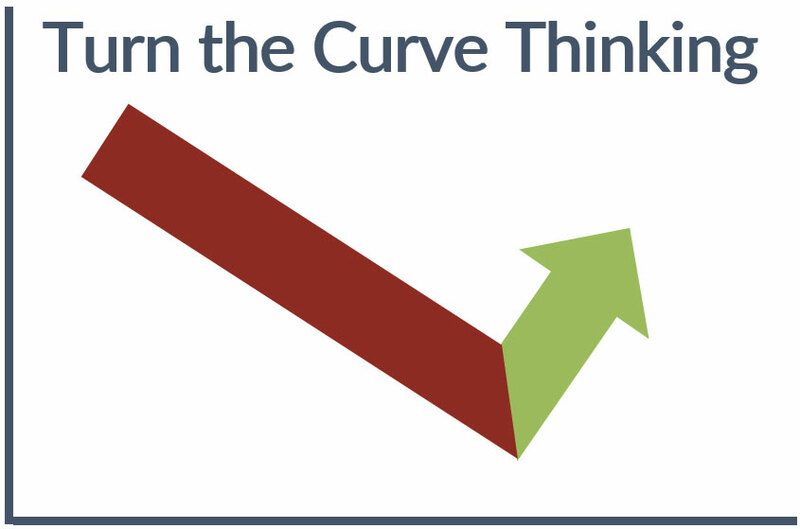 This process is called “Turn the Curve” thinking. Read about the process of Turning the Curve here. 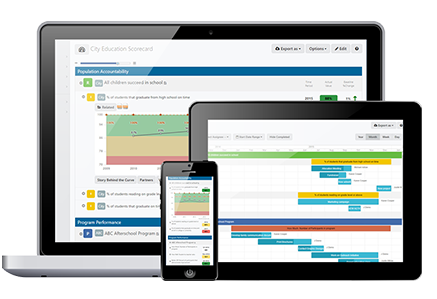 Uses data and transparency to ensure accountability for both the well-being of people and the performance of programs. Watch this Results-Based Accountability 101 presentation by Mark Friedman for a deep dive into the framework including population and performance accountability.